Conjuring Arts in the NY Times! On Sunday, March 7, 2010, the New York Times published an article on the Millionaires’ Magician, Steve Cohen, titled “Grand Illusions”. 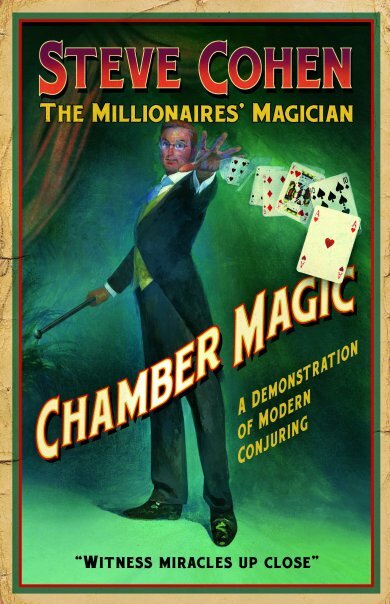 Mr. Cohen has been known to frequent the library when researching effects for his show Chamber Magic which plays at the Waldorf-Astoria here in New York. The article features a profile of Mr. Cohen as well as some of the tricks he performs. Additionally there are portions of the article which focus on where and how he acquires his secrets, one of which is Conjuring Arts! If you don’t have access to the print edition of the article, it is available electronically here.